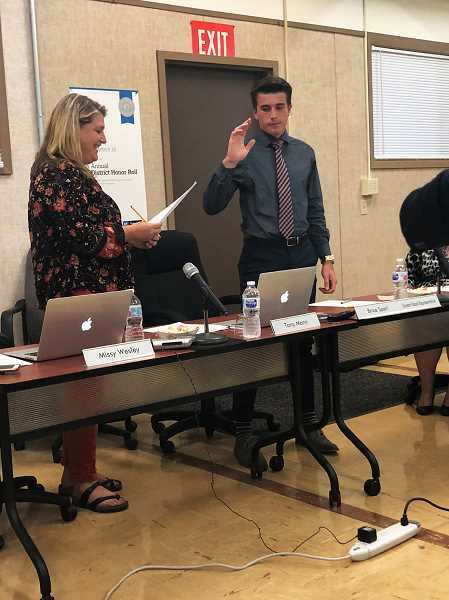 Each year, a Molalla High School student serves as the student representative to the school board. This year, Brice Sperl will serve as the representative for the first and third trimesters. He will attend school board meetings and give reports about what's happening at the high school. Sperl took his oath of office at the Sept. 13 school board meeting.